Today, every mobile manufacturer is trying to boost up the multi-tasking capability of their smartphone and therefore they are doing software experiments while none of them is giving attention to hardware change. Designer Kunihiko Nakata provides us a new way of enhancing the multi-task ability of device with an introduction of Palette Smartphone that comes with two sub-displays. Have a look first! 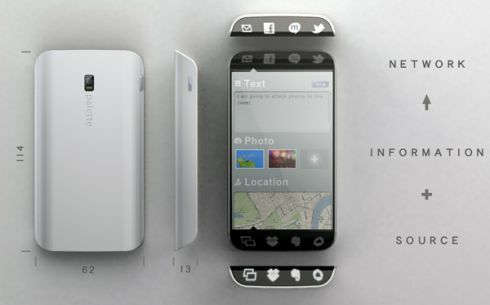 Palette Smartphone Concept comes with two extra displays; one at the bottom and second at the top. Whenever you want to be connected with your friends and buddies then top display will help you out. On the other hand, bottom display will offer quick access to normal tasks such as back, Home, refresh, menu and others. What I don’t like about Palette smartphone is the weight. 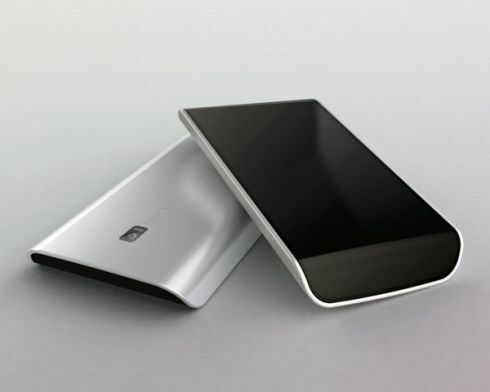 It is quite sure that a handset with two extra displays will be heavier than a normal one. It is not easy for you to hold it in hands for a long time. Triple Display Palette Smartphone is indeed a unique concept and no one come with it before. Now you can share your thoughts with me. 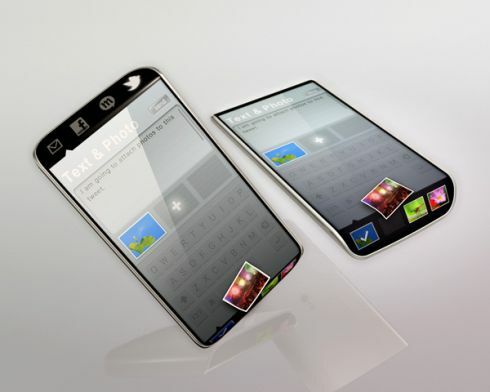 Would you like to see a Phone with 3 displays in near future?